The principal data on penal code offenses in 2011 is as follows. 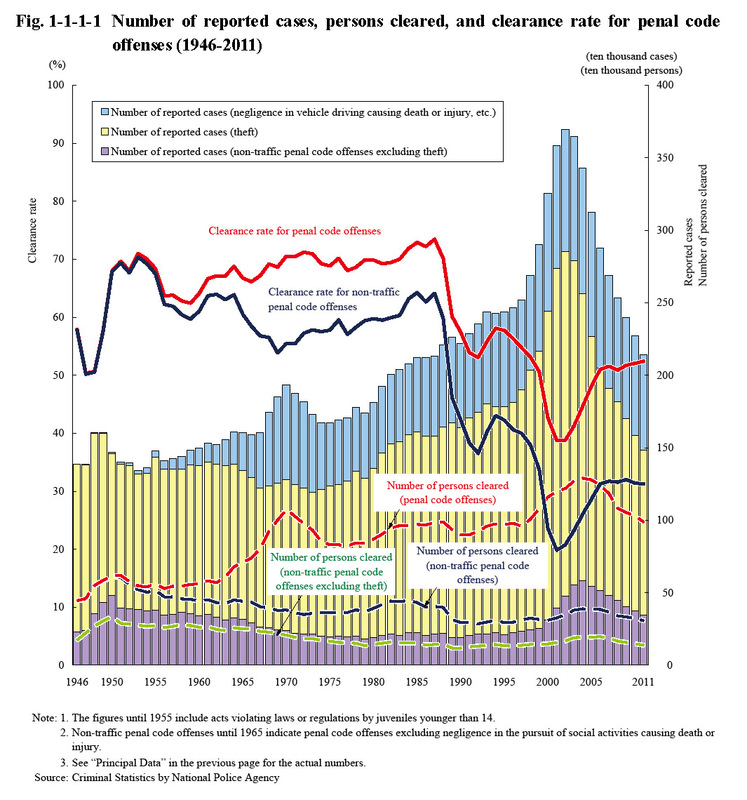 Note: With respect to negligence in vehicle driving causing death or injury, etc., the number of cleared cases was regarded as the number of reported cases. Fig. 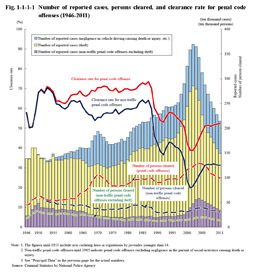 1-1-1-1 shows the number of reported cases, number of persons cleared, and clearance rate for penal code offenses since 1946 (See Appendix 1-1).